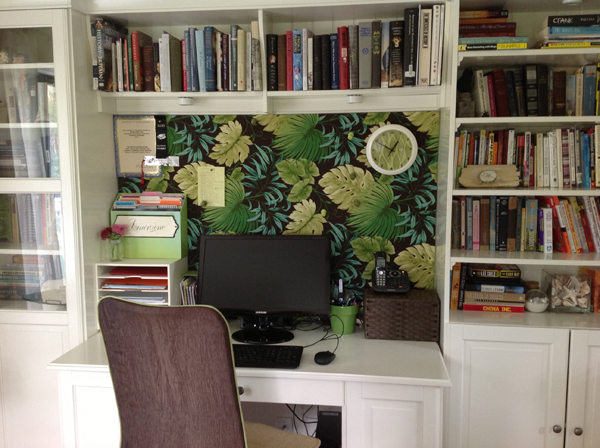 My friend Elaine Viets told me she has a serious case of “office envy.” That makes me laugh. Others have said, “If I had your office, I’d never get any writing done. I’d be looking out the window all the time.” But the truth is that this is my favorite room in the house, and it inspires me. I’m surrounded by things that spur my creativity. I keep several collections here, including figurines of hedgehogs and turtles, a small number of seashells, and tons of books. Actually every room in the house has a bookcase, except my laundry room. Hmmm. That’s an idea!